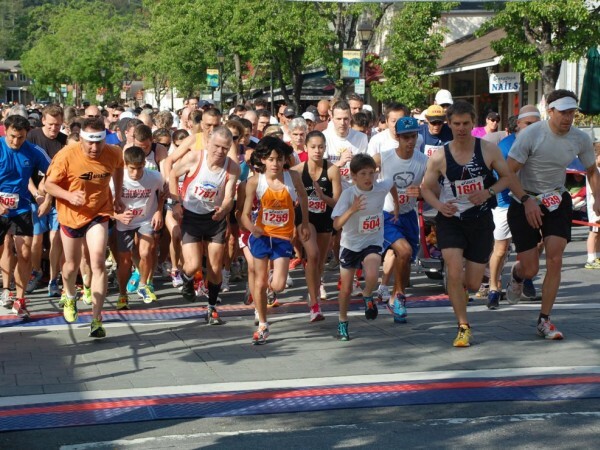 When the Great Race gets underway at 9 a.m. on April 30, the expected crowd of 1,400 runners, joggers, walkers and strollers will be celebrating an event 40 years in the making. What was once some out-of-the-box thinking by some local line on Big Basin Way in downtown Saratoga during the 2012 Great Race bankers and educators has since become one of the South Bay Area’s most treasured traditions. Four decades ago, a new running craze was sweeping the U.S., counting among its devotees then-president Jimmy Carter. Here at home, Northern California’s first all-weather track had just been installed at Los Gatos High School, generating major media buzz. For the first two outings, Harmatz convinced his then- roommate Mark Schilling to run the race. An elite sub-four- minute miler, Schilling finished far ahead of the pack. In year three, Harmatz recruited Mike Dyer, his best runner at Saratoga High School; Dyer snatched the crown from Schilling, setting a course record in the process. organization. “We’ll give you a special promo code, and the nonprofit that signs up the most members will receive an extra $200,” Norcia noted. All proceeds from registration fees will support Rotary’s school, community and international projects, with the biggest percentage allocated to local schools, Norcia said.